Dealing with a drain that keeps backing up can be frustrating. Particularly if you cannot identify where the problem lies. Instead of guessing and hitting the rock every time, it is advisable that you have a drain camera Melbourne professional come and look at it. In some cases, it will be the accumulation of tissue papers, fats and oils that lead to clogged sewers and drains. However, in most cases the problem is rather complex, thus, requiring a professional. If you are looking for a drain camera Melbourne expert, you are in the right place. We offer undisputed quality in terms of drain camera Melbourne inspections. The reason why we prefer using drain Camera Melbourne in our inspections, is because it helps us to clearly identify the problem in your pipes and drains. Our technicians, using the drain camera Melbourne can identify the type of material blocking your drains. Therefore, they can come up with an appropriate course of action. Additionally, the drain camera Melbourne helps our team to identify if there are multiple problems with your drains. Our drain camera Melbourne services are not only meant to be used where a problem has already arisen. Rather, they can be used in preventative maintenance. Therefore, saving you on huge repair costs of your drain and sewer systems. Why Choose our Drain Camera Melbourne Services? Our drain camera Melbourne service is non-invasive. Therefore, beneficial in reducing damages. You no longer have to worry about someone breaking into your wall or digging into your foundation just to locate the drain problem. Our drain camera Melbourne services saves you money in three ways. First, you need not ruin your house or business premises just to locate a plumbing problem. 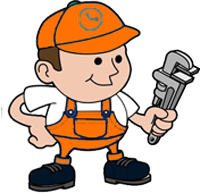 Also, we can identify and repair in a shorter time, compared with other plumbers. Therefore, we allow you to resume business within no time, preventing further loss of clients. This means that you benefit from a lower repair cost. Additionally, our services help you prevent water losses. Our drain cameras, when used in pre-screens, can help in identifying vulnerable areas and repairing them to prevent bigger problems in the future. Our drain camera Melbourne are ideal when you have a water loss emergency, yet you cannot identify the root of the water problem. Our inspectors, using drain camera Melbourne, will take a very short time to identify the problem. Besides, we do not have to go digging around your house to manually get a look at the problem. Instead our drain camera Melbourne gives us certainty of the problem. Therefore, we come up with an accurate plan for repair. Our drain camera Melbourne services are useful in the unblocking of clogged drains, cleaning of arrestors, cutting of tree roots, removal of silt, fat and debris through hydro-blasting, and the cleaning of drains and manholes. Call us today, on 1300 931 384, for expert drain camera Melbourne services.